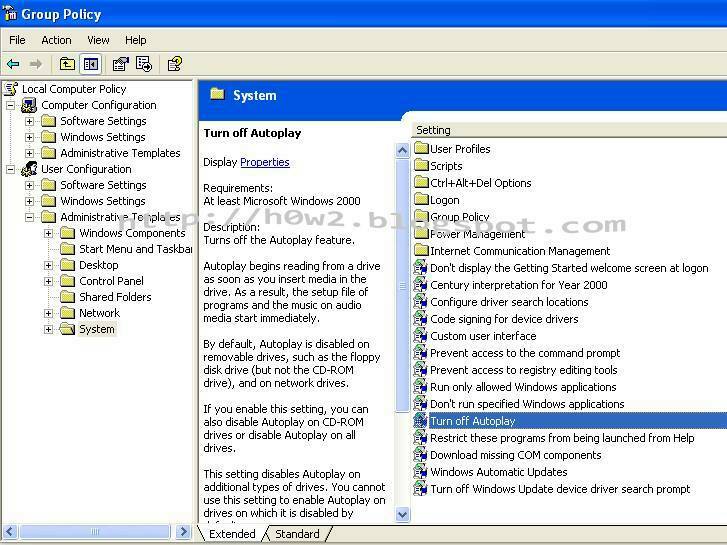 Many viruses get into computers through autoplay or autorun as usbdisk drive or flash memory. 3. Double click at User Configuration , double click Administrative Templates, and double click System. 4. 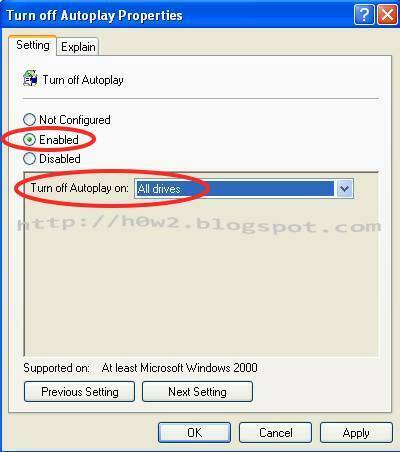 See on the right page, look for the word Turn off Autoplay, Double click on it. 6. 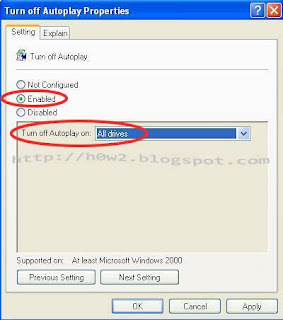 Choose All drives in Turn off Autoplay on option.